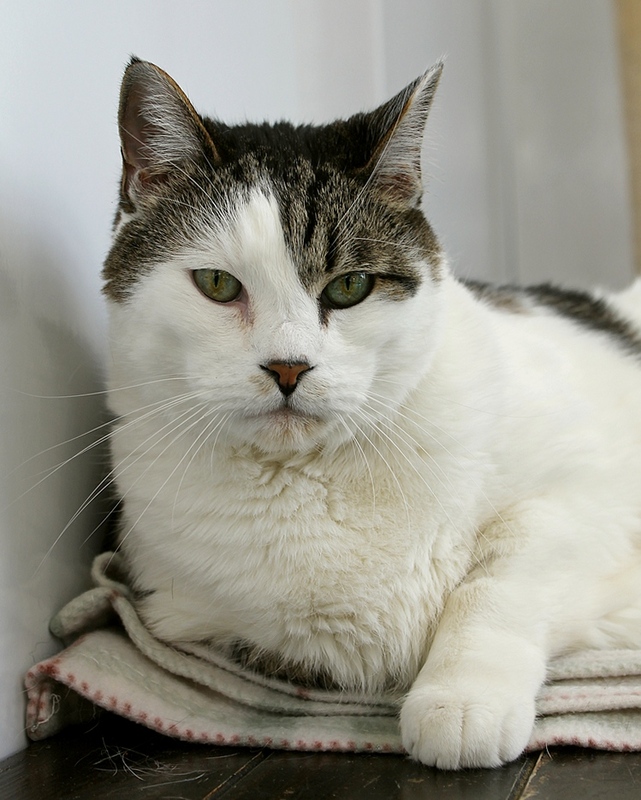 My name is Chris, and I am a big, handsome and stately 11-year-old gentleman looking for a family to live out my retirement years. 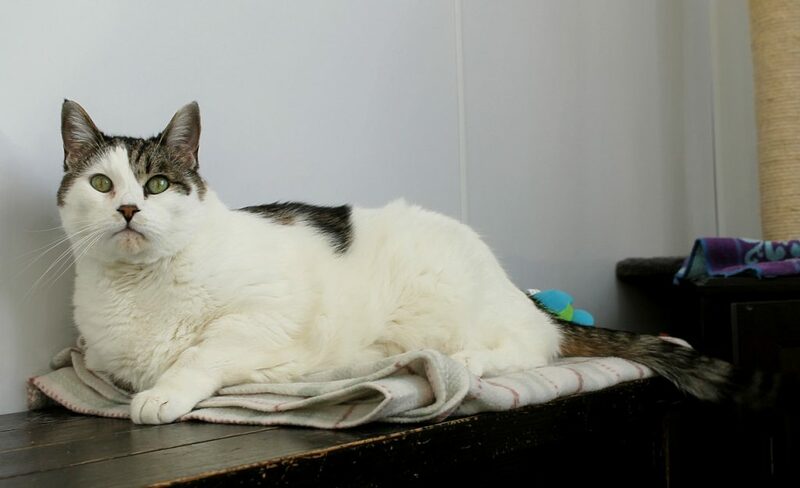 I have lived very peacefully around other animals and children in the past as well as here at Pixie, and I have proven to be a giant sweetheart with a curious and gentle demeanor. I’m a big fan of attention and would do best in a home where I’m not left alone all day long, or where there was another pet to hang with. 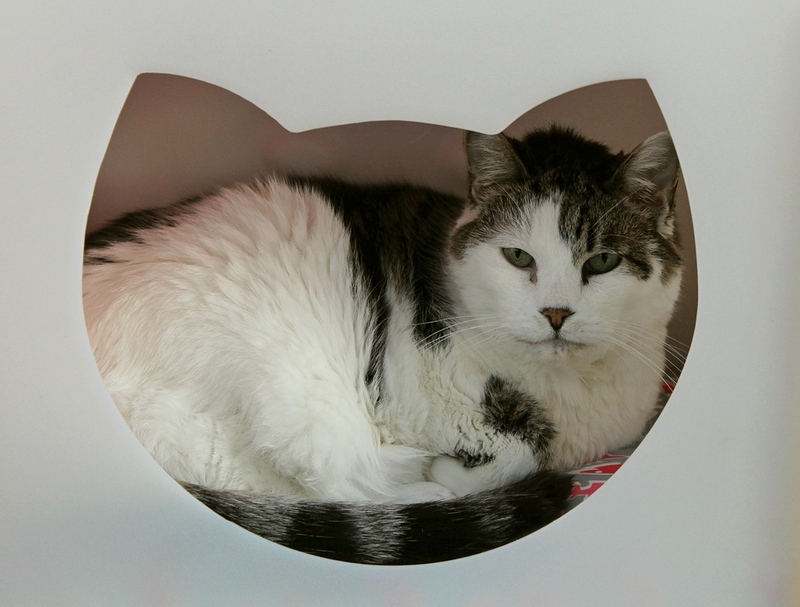 I could definitely see myself hanging out with a little dog or another older kitty like me — I think we could be best buds! I love getting chin scratches and pets and being nearby my human whenever I can, and also can get very playful, so having a calm human companion is super important to me. I just love attention! The folks here at Pixie have already checked my bloodwork and it seems I’m in the very early stages of kidney disease, which effects many older kitties and is very common. It doesn’t mean my life will be shortened at all, especially since Pixie has already taken steps to get on top of it before it gets any worse! For now, the doctor has me on one medication I take twice a week just to help keep my levels normal and improve my longevity. I eat regular food and don’t have any other needs at this time, so even though I’m technically a “senior” kitty, I’m a very low-maintenance kitty both personality-wise as well as health-wise. Won’t you come meet me so we can become best friends? I’m currently in a foster home, so please fill out an application to meet me today! I come to you fixed, vaccinated, and micro-chipped for an adoption fee of $80.